Stable side flanks to prevent the fall of the rim to the tread of the tyre. Tyres may only be driven on cars that have a functioning air pressure control system. 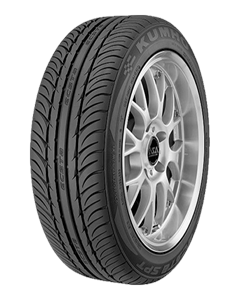 The ECSTA SPT KU31 XRP is an environmentally friendly and quieter tyres by the use of the newly developed Lyocell-Cords in the production process. The new HDS (Highly Dispersible silica) blending technology enables good grip and handling for the best-hp vehicles. The Ecsta SPT KU 31 has a sporty profile and is on the entire duration comfortable and quiet. Sorry, we currently do not have any tyres with the Ecsta SPT KU31 XRP pattern in stock.